Welcome to Full Circle Dentistry! As Dr. Caldwell’s dental assistant, I meet and greet patients and help them feel comfortable from the moment they come through the door. I also assist Dr. Caldwell and the rest of our team with anything that will enhance our patients’ experience at our practice. 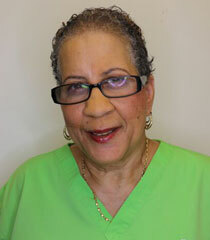 I love seeing our patients leave our office with a great big smile! I enjoy working with Dr. Caldwell and our staff because everyone cares about our patients and providing the best quality care. It really is a fun place to work! I have a 21-year-old son, Chris, and a pit bull named Gucci. Outside of the practice, I enjoy bowling, going to concerts and movies, listening to music, and writing poetry. As a dental hygienist, ensuring my patients’ oral health is my number-one goal. In addition to preventive and diagnostic treatments, I also provide patient education on good home care, since oral health is a MUST for successful overall health. We are a family in this practice, all with the same goal: to provide exceptional treatment and information that helps our patients achieve their dental goals with ease. I am the proud mother of Diara and Taryn and a proud grandmother. I love animals, especially cats. My free time is spent hand dancing and volunteering at schools to provide dental education. 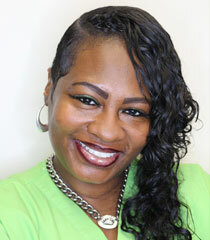 I am here to help make sure Full Circle Dentistry is the best it can possibly be. I have a high level of professional standards and love interacting with people. I enjoy working with Dr. Caldwell and my co-workers because we all have a passion for excellence. This leads to a great atmosphere and good attitudes toward our patients and ourselves. I was married for 17 years and have two grown daughters and two grandchildren. To stay busy outside the office, I started a waterless carpet cleaning business which has been up and running for two years. This particular way of cleaning carpets is great for families with children and pets, because there is no drying time. It is also great for the environment!